What Internet bandwidth does the university have? 62. 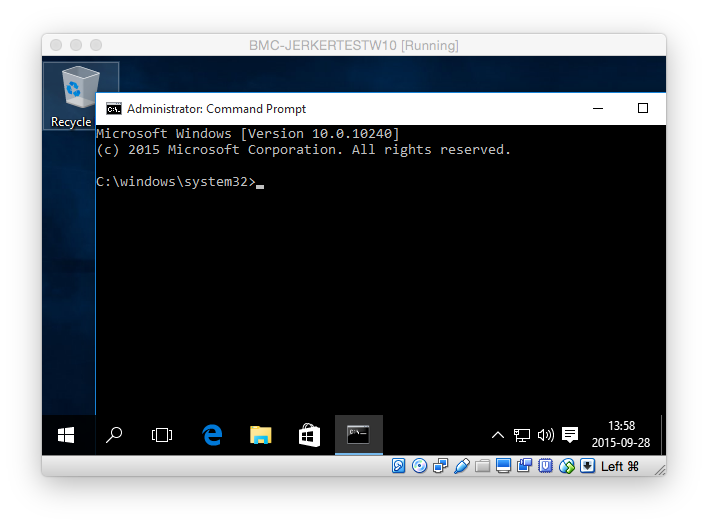 How do I start an elevated command prompt (as administrator) in Windows? See also: How do I activate my Office using KMS? 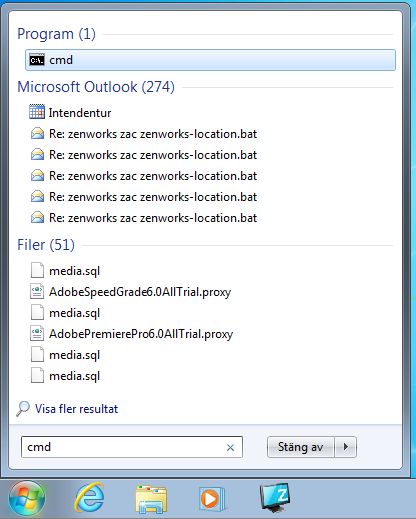 Start a command interpreter window by entering cmd in the search prompt. Launch by pressing CTRL SHIFT and ENTER at the same time. Answer Yes to run as administrator. If everything works fine you are running as administrator. The Window title bar should contain the text Administrator:. It does not work! What do I do now? Make sure you are connected to the university network. Then restart computer. Make sure you are using your employee account and not your old student account. 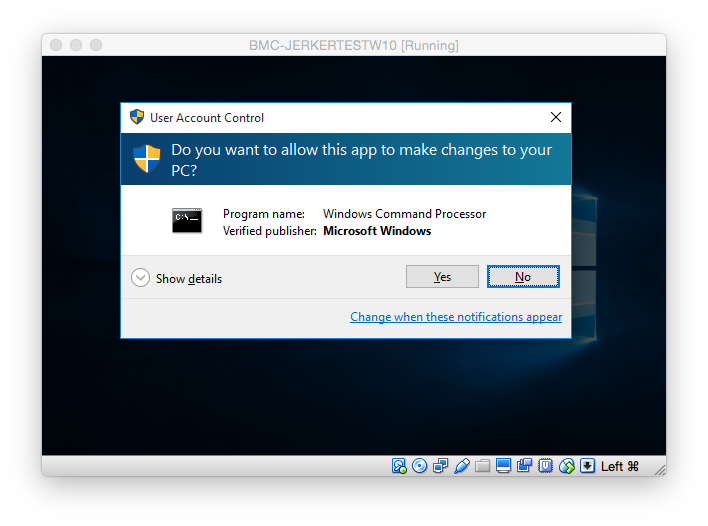 If you need to be local administrator, send a mail to helpdesk@bmc.uu.se where you specify your computer name and your account name. We can then add you as a local administrator, after we have confirmed that it is your computer. Then restart computer. 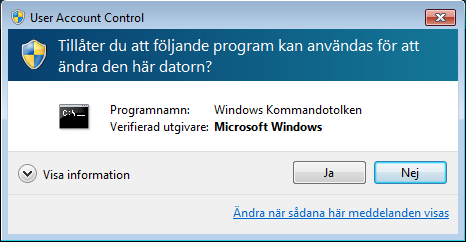 If it does not work anyway, restart computer again. 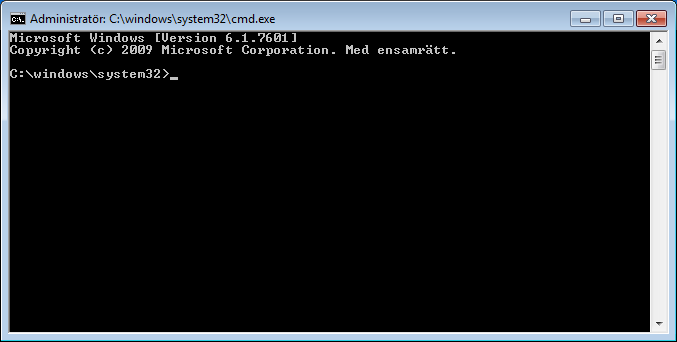 When the computer restarts it should read the group policy which adds the members in a group in the Active Directory to that computers local administrators. If the group has been created and populated with members and it still do not work? 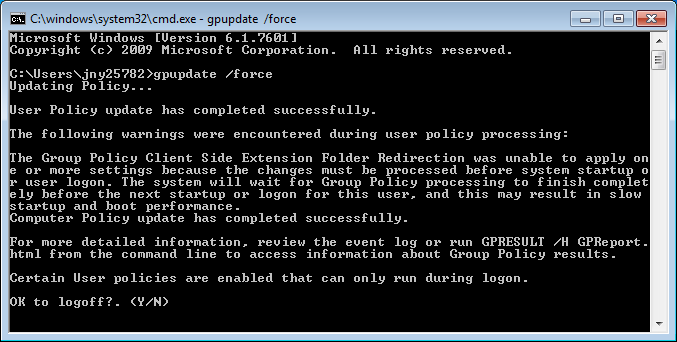 Run the command gpupdate /force in a command window to force the computer to update the group policy if this was not done automatically. It may look like this. Answer y and enter to logoff. Then login and try again.